Don't trust your clasp to secure your $100 dollar tracking device. Buy with confidence from an AMERICAN company! 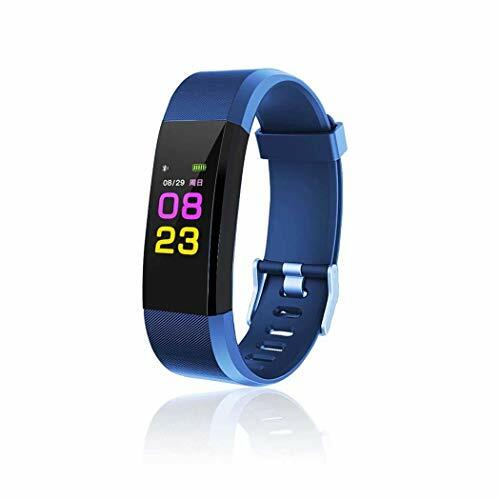 Made of Elastomer material- this Fitbit versa band with connector is durable and long lasting, available for both men and women when sport, dating, meeting etc. Available in Large and Small size: Large size for 7.1" -8.7" wrist, Small size for 5.5" - 7.1" wrist.This Fitbit versa Band size can be freely adjusted according to the circumstance of individual wrist. More color choices than original Fitbit versa Band for you to choose, fit with your daily wear and mood. One year Warranty, replacement or full refund without return. Package: Replacement bands only, fitness tracker not included. Perfect silicone Material - The Fitbit Versa bands are made of durable and flexible elastomer. Skin-friendly and comfortable wearing experience. Buckle Design - The Fitbit Versa wristband is designed with Stainless Steel Buckle to ensure your watch secure during strenuous exercise and a strap holder to secure the extra length. No worry about falling off your precious Fitbit Versa. Flexible & Adjustable - This Fitbit Versa accessory wristbands can be adjusted according to your wrist circumstance. Always a metal hole for you no matter your wrist is large or small. Multiple Choice - Various Colors and two selected sizes for Fitbit Versa Fitness Band, this Fitbit Versa bands personalize your fitness tracker to fit your mood and outfit in daily life. 23 Months Warranty: If your bands have any quality problems, please contact us, we will offer you hassle free replacement or money back during the warranty. Workout more efficiently and burn more calories Comfortable armband accurately measures heart rate. No chest strap required Rechargeable battery provides up to 8 hours of workout time Wireless workout from up to 100 ft. away from your device! Compatible With: iPhone 5S iPhone 5C iPhone 5 iPhone 4S iPad mini with retina iPad mini iPad (4th gen) iPad (3rd gen) iPod touch (5th gen) Samsung Galaxy S IV The Rhythm+ Optical Heart Rate monitor's ANT+ Connection works with Garmin Forerunner, Vivo Fit, Suunto ambit 3, Viiiiva, and completely takes the place of your heart rate monitoring chest strap. 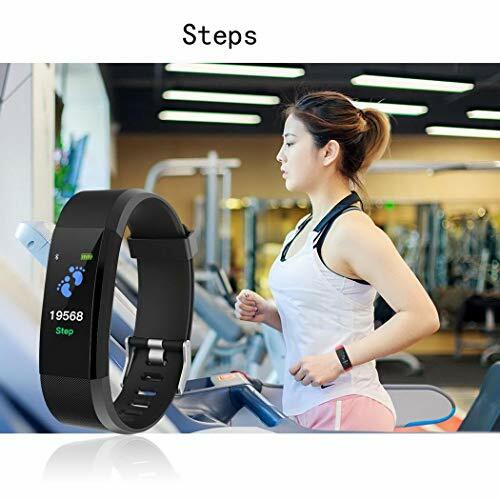 The Bluetooth 4.0 connection works with all of the popular fitness tracking apps such as digifit, wahoo, strava, mapmyfitness, endomondo, runkeeper, runtastic, ismoothrun, and more! 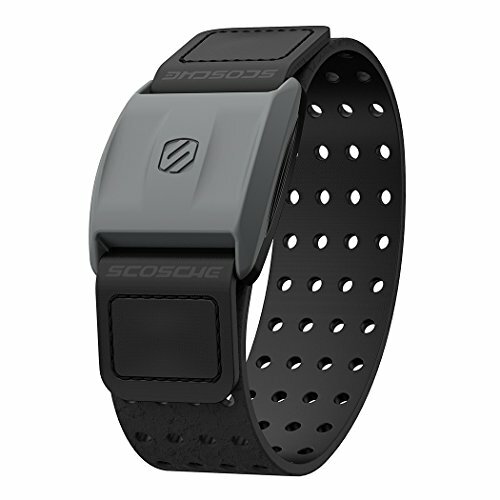 Heart Rate Monitor Armband Featuring a Large and Small Black Strap. RHYTHM+ heart rate monitor is a direct chest strap replacement and easily attaches to your forearm for full wireless communication with your device. This app powered heart rate monitor works with hundreds of Fitness Apps to manage your workout metrics. Vancle alta hr bands Replacement Wristbands made from durable Thermoplastic Urethanes material. Important Note: Please keep the band clean to avoid developing a skin rash or some other unexpected thing happen to you if you're excessive sweating. Please don't keep the band too tight on your wrist when you sleep or in hot summer. 1. Vancle Alta HR bands replacement wristbands specially designed for your Fitbit Alta HR with the nub on the loop to hold the excess band in place. 2. Two Sizes Available: Size Small for 5.5" - 6.7" (140mm - 170mm) wrist, Size Large for 6.7" - 8.1" (170mm - 206mm) wrist. Fitbit alta hr replacement straps fit Men, Women, Boys, Girls, and almost everyone. 3. Multi colors available alta hr wristbands for your fitbit alta HR to fit your mood and outfit in daily life. This refined fitbit alta hr straps in Rose-Gold, Gold, Silver, Black, White, Lavender, Gray, Navy Blue, Blush Pink, Fuchsia, Coral, Teal various colors to dress up your fitbit alta HR and highlights your unique taste! 4. Vancle alta hr bands for your Fitbit Alta HR with Metal Buckle ensure the stability and security. The fine craft make the band easy to take on & off, and one button protect your fit bit alta hr from falling off. 365 Days Money Back Guaranteed! Please feel free to contact us if you meet any question BEFORE you review it. We will try our best to solve your problem. As a seller, our goal is to provide every customer excellent purchasing experience. Newest color rose gold and gold, silver accessory band for fitbit alta hr and fitbit alta only, personalized your fitbit alta hr / fitbit alta fitness tracker every day, fit with your daily wear and mood! 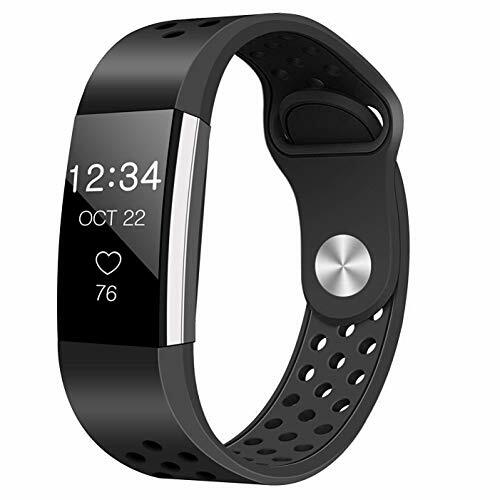 fitbit alta and fitbit alta hr is not included. Replacement wristband for fitbit alta hr and fitbit alta in small fits for 5.5 - 6.7 wrist, fitbit alta hr and fitbit alta Replacement band in large size fits for 6.7 -8.1 wrist. 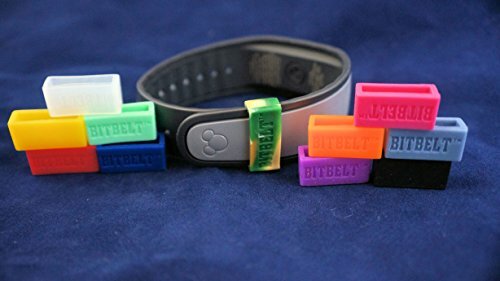 Vancle alta hr bands / fitbit alta replacement straps with metal buckle ensure the stability and security for your fitbit alta hr / fitbit alta fitness tracker. Soft TPU (Thermo plastic polyurethanes) material provide the best comfortable wearing experience when you exercise sweat, sleep and beyond. 365 days Money Back or replacement Guaranteed!. If there is any question, please feel free to contact us, Vancle will provide every customer excellent purchasing experience. Workout more efficiently and burn more calories Comfortable armband accurately measures heart rate. No chest strap required Rechargeable battery provides up to 8 hours of workout time Wireless workout from up to 100 ft. away from your device! Compatible With: iPhone 5S iPhone 5C iPhone 5 iPhone 4S iPad mini with retina iPad mini iPad (4th gen) iPad (3rd gen) iPod touch (5th gen) Samsung Galaxy S IV The Rhythm+ Optical Heart Rate monitor' s ANT+ Connection works with Garmin Forerunner, Vivo Fit, Suunto ambit 3, Viiiiva, and completely takes the place of your heart rate monitoring chest strap. The Bluetooth 4.0 connection works with all of the popular fitness tracking apps such as digifit, wahoo, strava, mapmyfitness, endomondo, runkeeper, runtastic, ismoothrun, and more! RHYTHM+ heart rate monitor is a direct chest strap replacement and easily attaches to your forearm for full wireless communication with your device. This app powered heart rate monitor uses an App to manage your workout metrics. Use your favorite fitness app on your smartphone or tablet to monitor your heart rate, calories burned, distance, speed, pace and more. 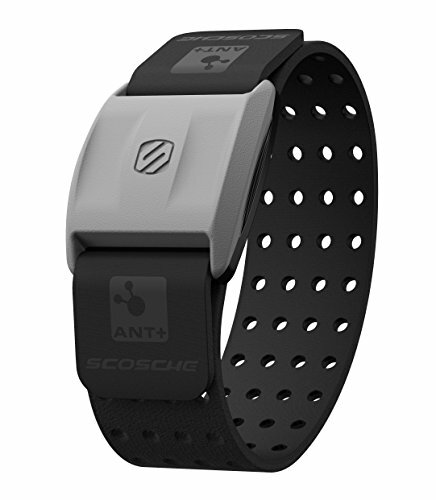 With its dual-mode processor you can simultaneously transmit your heart rate to multiple ANT+ displays and your favorite Bluetooth Smart enabled watch or smartphone app. 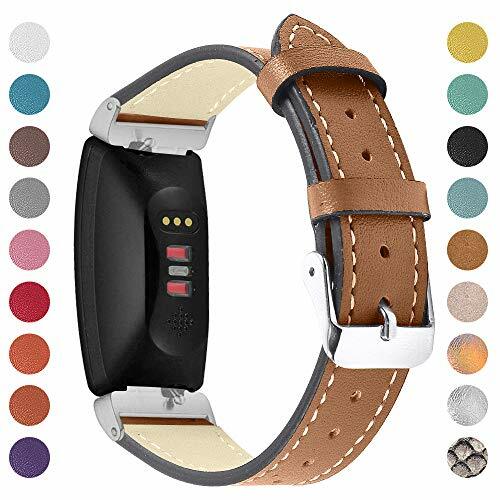 Kartice Compatible Fitbit Inspire Bands/Fitbit Inspire HR Band,Adjustable Classic Leather Replacement Accessories Bands for Fitbit Inspire/Inspire HR Fitness Tracker. 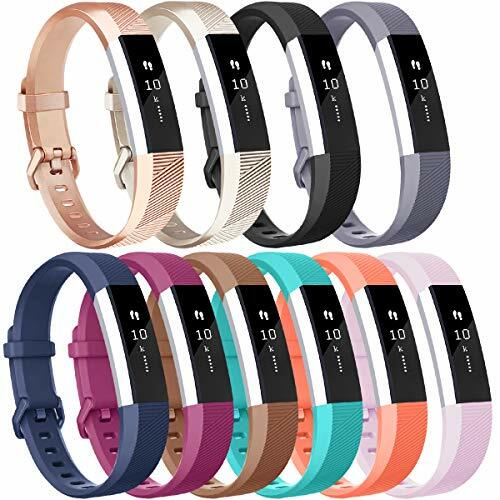 Perfect fit The Fitbit Inspire bands specially designed for Fitbit Inspire and Inspire HR Fitness Tracker. High Quality Made from high quality leather. Soft, durable and very comfortable to wear, fashionable craftsmanship, durable, comfortable touch feeling on your wrist, perfect for daily and nightly wear. Super Covenient No tools needed.Super easy to install & resize & uninstallfrom Fitbit inspire hr tracker. Packaging Contents 1*Fitbit Inspire band Only.Fitbit Inspire/Inspire HR Fitness Tracker NOT included. Buy with confidence 360-day return refund guarantee.If you have any problems, please contact with Customer Service.You will be given a reply within 24 hours.